As we have been exploring what real hope is, this week we can learn life-changing truths from Ezra and Nehemiah. Joy. Such a small word and sometimes so hard to find and really live out. Life can be so hard and steal our joy. But we can live the joy-filled life when we have an understanding of God’s word and walk in it. 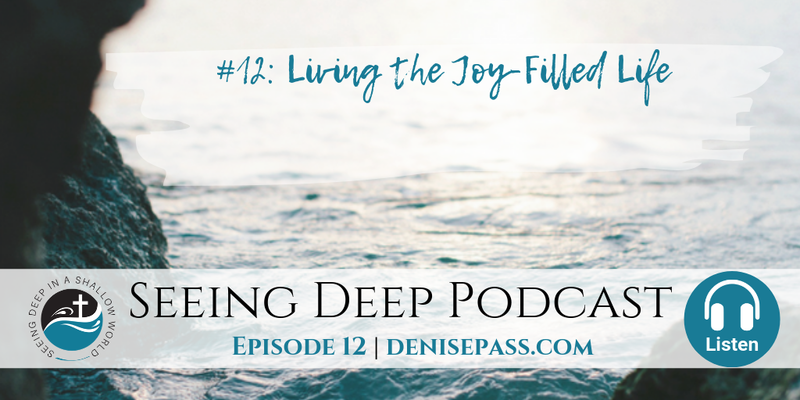 Listen in as we let go of the world’s hold on our joy and learn to live the joy-filled life that Christ has for us. Those who have tasted and seen that the LORD is good understand that He is our joy and the joy of the LORD is our strength. I love the responses Jesus always gave, especially to the “elite”. Sadly, they were so blinded that they couldn’t see that He was/is the word. …(the Word became flesh)…They were too concerned with trying to convince Jesus and the world how intelligent they were with condemnation using laws that they couldn’t see the planks in their eyes. You know there was no joy in them. Yes, Tonna! So true. God is so kind to reveal His truth and open His eyes so we can live a different way for His glory!